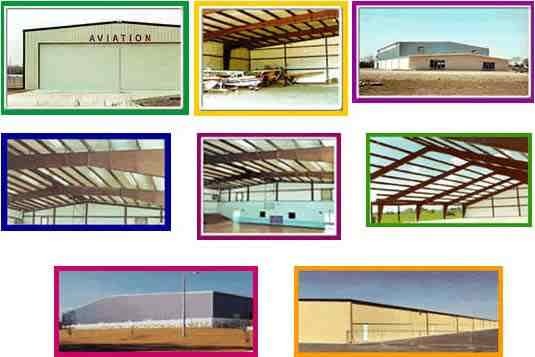 Metal Custom Steel Buildings Kits | ABCO American Inc.
ABCO-American manufactures a variety of metal buildings that can be used for everything from commercial office buildings to airplane hangars. The advantage of our steel building kits is that they come with everything you need to build and can be custom fitted to your specific needs. Our commercial metal buildings can be designed to accommodate your work space, from the size of each office to how large a conference room is. You can determine the number of windows in your building, its color, even if it needs a kitchen. This is a building in which you want your employees to be productive and customers to be impressed. For those that own an aircraft, protecting it from the elements is crucial to its upkeep. Our commercial metal hangars can be custom fitted to the size of your airplane and can be set up quickly. Our steel frame construction can be designed to accommodate not just your airplane, but also enough space in which to service your aircraft. All commercial buildings we have for sale are delivered to the job site complete and ready to assemble, drawings are provided, stamped and signed by a registered structural engineer for the state building is to be constructed certifying that the building conforms to the local building codes. Above were images of metal commercial buildings in various stages of construction from structural framing to completion.